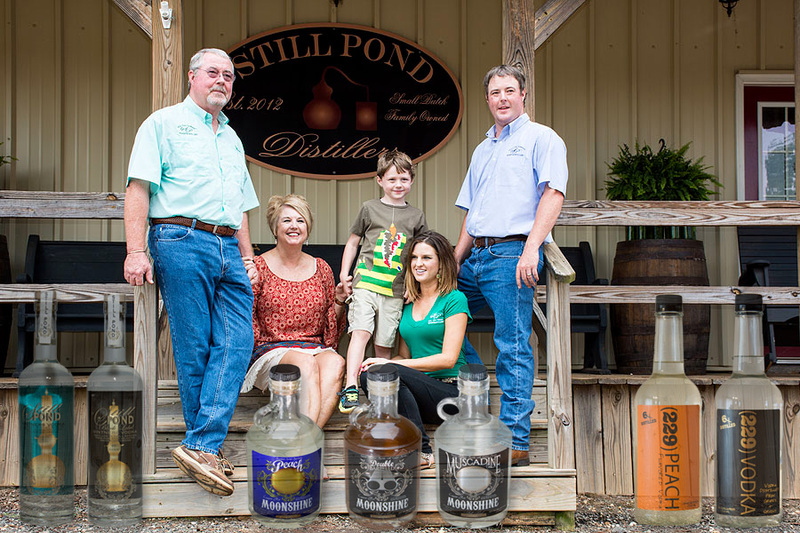 Located in a dry county, Still Pond Distillery is not the first still to be located near the banks of “Still Pond”. Nearly a century ago, then owners of the property were known far and wide as producers of a fine moonshine whiskey. In 2012, father and son, Charles Jr. and Charlie Cowart, set about to legally establish a distillery. Still Pond Distillery is an addition to the operating vineyard and farm winery. Carrying with tradition, this distillery produces fine distilled products, but in a much more legal fashion. Still Pond Winery and Still Pond Distillers now offers a wide selection of award winning wines and craft spirits. Still Pond is the only Farm Winery and Distillery in the Southeast United States and a proud member of the American Distilling institute and proudly produced craft spirits.